TORONTO, ON – Junction Craft Brewing has announced the release of a new limited edition beer inspired by the history of the building where the brewery will be moving in the new year. Destructor Imperial Black Ale is a 9% abv and 64 IBU dark ale that has been aged in both red wine and bourbon barrels. And based on the label which states “Destructor Series”, it may well be the first in a line of big and barrel-aged beers from Junction. 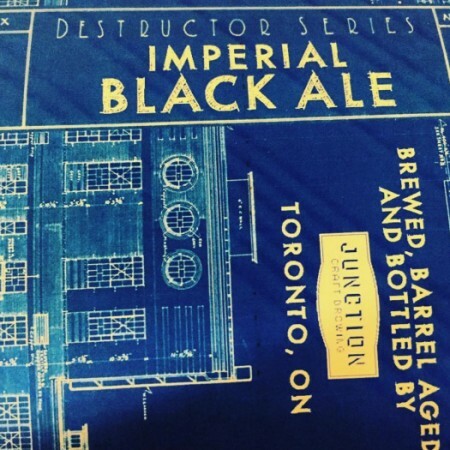 Destructor Imperial Black Ale is available now at the Junction retail store in a limited run of 750 ml bottles.